Canterbury Downtown is an open and inclusive Christian community of, by, and for university students from a variety of campuses around Manhattan including NYU, The New School, Cooper Union, Hunter College, Pace University and more. 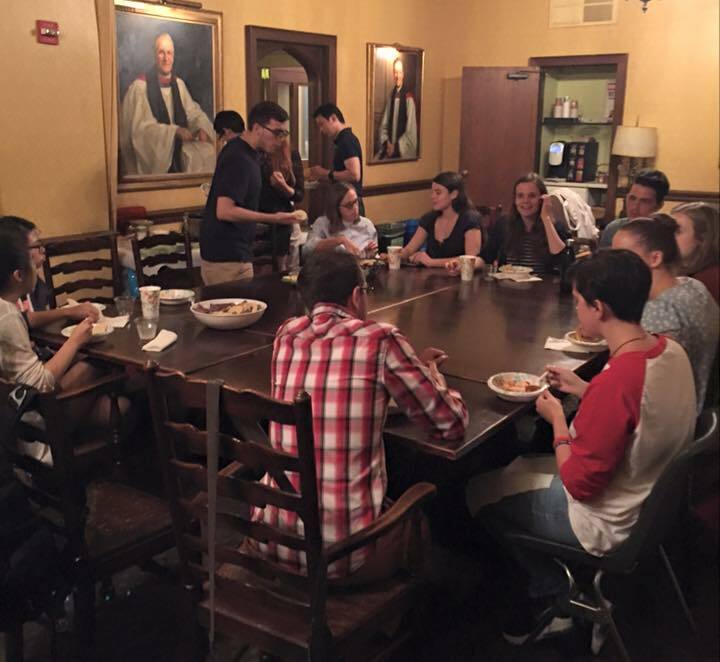 During the academic year we gather for weekly worship and a free meal, service-learning opportunities, and adventurous outings. We enjoy taking time to play, pray and serve together. Students of all religious backgrounds are invited to join us as we seek to grow together in community and Christ. Join us on Sunday evenings during the academic year at 6 p.m. at nearby Grace Church, Broadway at Tenth Street. Attending services in the morning at Church of the Ascension? You’re still invited to join with fellow students for dinner following the 6 pm service at Grace Church. 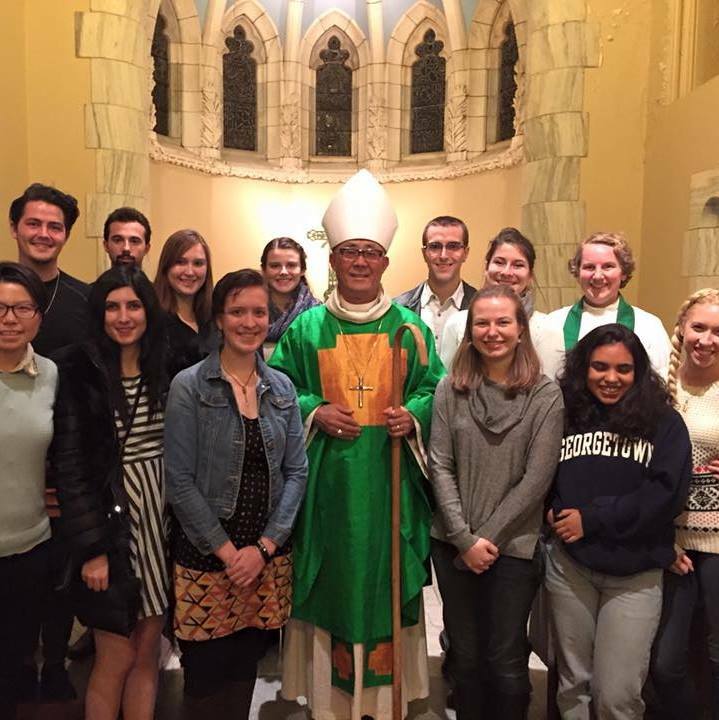 Visit our website or email Chaplain Mary Cat to learn more about connecting with other students through Canterbury Downtown in relationship with Church of the Ascension. The Rev. 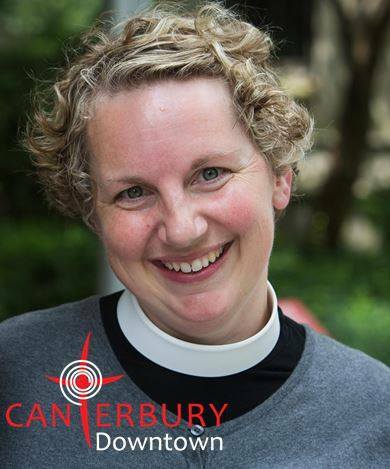 Mary Cat Young serves as Chaplain to Canterbury Downtown. Her office is located at nearby Grace Church. Appointments can be made to meet with Mary Cat on-site, or around Washington and Union Square. Her role is to engage with students, gather the community, provide worship and other opportunities for students to grow spiritually and in community with one another. Canterbury Downtown is focused on being a place for students to come together as companions on the journey, to learn from and support one another, and to develop an adult faith practice. Folks who are new to the Christian faith, new to the Episcopal Church, or just curious passers by are invited to join us for worship and a meal. Come to know us and allow us to come to know you, and together we will serve Christ by serving others. Want to know more? Visit our website, and come to the table. Canterbury Downtown is an Episcopal Campus Ministry of the Diocese of New York. Check the Canterbury Downtown website for notifications on study groups, chances to volunteer, short trips, a picture gallery, and much more.